Use your creativity with Art the Arms Fair to make the DSEI arms fair visible. 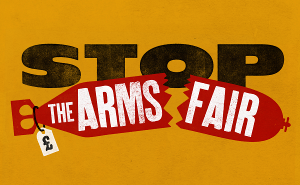 You are invited to join Art the Arms Fair and make it the most talked about arms fair ever. 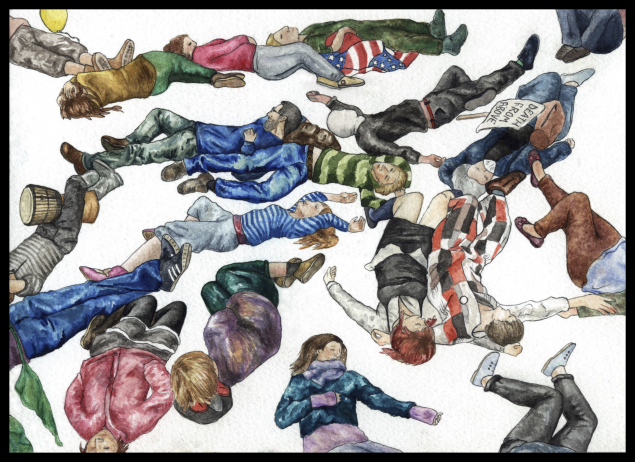 The event will begin as a mass, en plein air, art event, on 9th September 2017 as part of the Big Day of Action against the arms fair. At 10am, artists will come armed with canvases, clay, and their creativity to the site of the fair to Art the Arms Fair. All art and artists welcome from painting to performance, sculptors to satirists. More details about meeting points, an accessibility map, transport links, and ideas for inspiration, are being worked on – sign up at Art the Arms Fair to get the updates first. Like and share Art the Arms Fair on Facebook.